Bought my first pair at REI. Out of the box fit was excellent, better than all others I tried on. Expensive but REI members get end of year rebate of usually about 10%. So I sprang for the bucks. First pair have stayed super comfortable and have held up very well. Even though they still have lots of life, I just ordered another pair, in exactly the same size because they're still available and on the internet I got them for about $180 USD. Tried REI first but they didn't have any in my size. I sometimes have pain especially in my big toe area, and have some ingrown toenail issues. These have adequate room in the front area and continue to be the best I've come across. Seeing the video, I can understand why they're not cheap (and they're made in Europe not China, thought lots of good quality stuff coming out of China). At these prices, why would I try anything else when these work so well and are so well made. We have two pairs! Love them! Picked these up from REI from the garage sale section. They fit perfectly and were extremely comfortable. I hiked 20+ miles through the Lone Star Hiking Trail which was extremely flooded and these boots kept my feet dry the entire time. I was very surprised given the amount of water and mud I walked through. Good thing I bought these before the trip as my Danner gore-Tex boots didn’t seem nearly as waterproof. I want to buy another pair as a backup and get my wife some as well. Amazing boots! First off, I like this boot, and have owned several pairs over the years. I will concentrate on the negatives, as there is no reason to correct what Lowa does right about this boot. Cons are as follows: 1. These boots run small, at least one full size. In fact, these are the only boots/shoes I have ever purchased in size 14. Normally, I run 12W in a dress shoe, 13 in a running shoe or hiking boot to allow for swelling. These boots need to go even larger than that. 2. The third eyelet down from the top is difficult to catch with a bootlace, it needs to be repositioned or made larger. 3. Speaking of bootlaces, Lowa's are thin and will eventually break. When trying to replace the lace, it is difficult because most every single replacement out there is too 'fat' for the narrow Lowa eyelets. And finding genuine Lowa replacement laces are hard to come by, and expensive if you do find them, and certainly not in the color of your original laces. 4. Toe box is tight. What else can I say? 5. 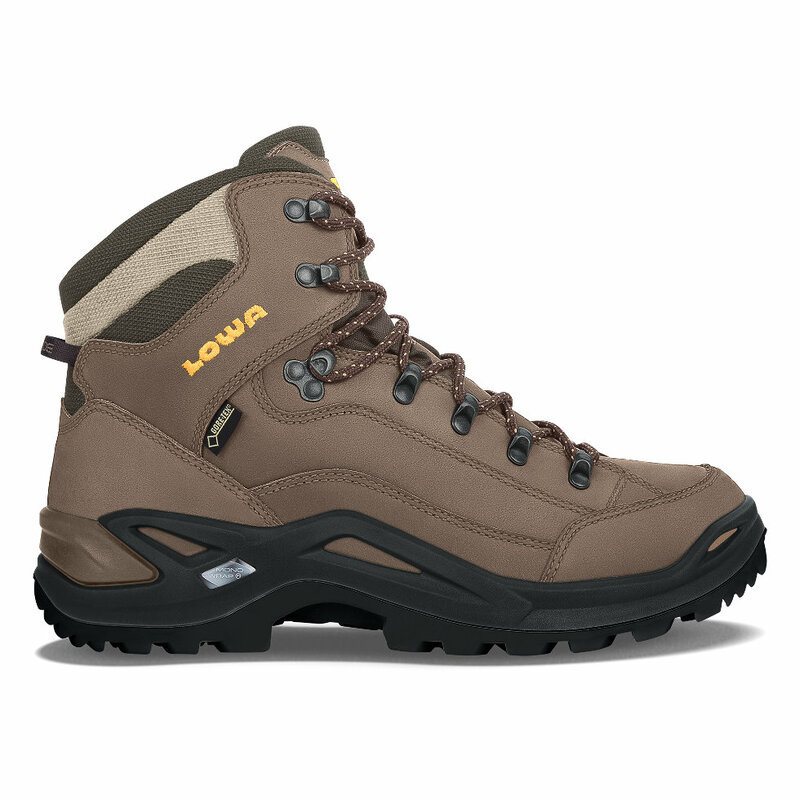 Like a sport vs comfort tuned suspension on a car, these boots are built to climb and hike, not comfort. Unlike, say a Merrill or Vasque, they are stiff and don't have much cushioning.